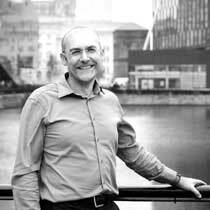 Pete has been a qualified Architect since 1999. He is responsible for managing projects through all stages from feasibility and first designs to completion. He became an Associate of CLA in 2008. Pete has particularly strong skills in technical matters and construction detailing, as well as being involved with practice management. He also has further knowledge of conservation architecture and is a RIBA conservation registrant. Pete is a Quinquennial Architect and a member of EASA. He is retained by Churches for vision plans, renovation and restoration works.